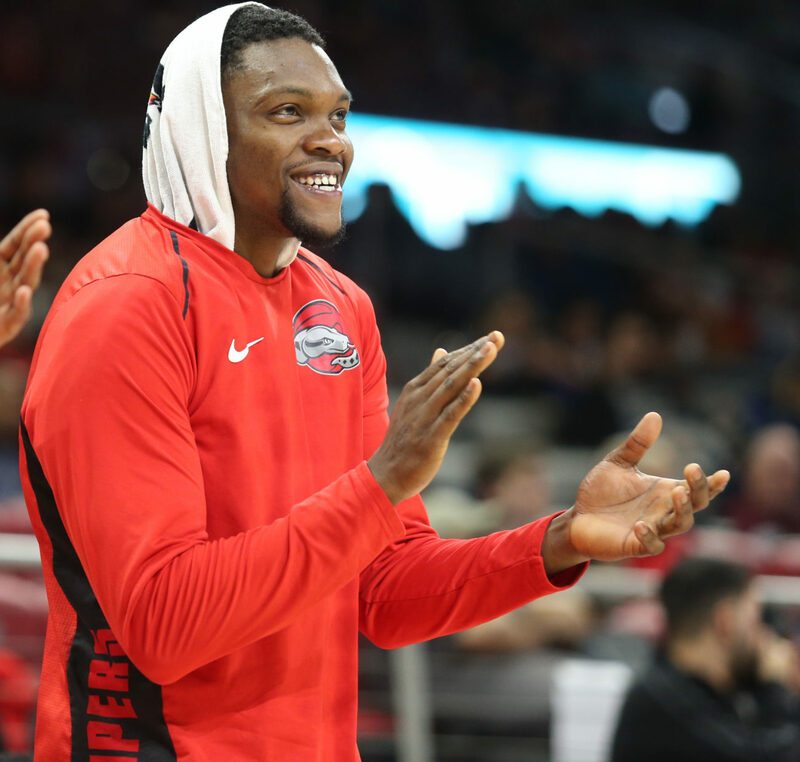 EDINBURG — Not too long ago, the RGV Vipers’ Michael Frazier didn’t know where his career was headed. In fact, at one point he was just at a standstill. After being sidelined with a torn quad injury that kept him out of basketball for almost a year, after failing a physical for a Germany basketball team, thoughts ran through his head that his playing career may be over. Doctors even recommended that he consider retirement — at age 23. Now, the NBA G League’s Most Improved Player is playing at a high level and hopes to have one more sensational shooting at 7 p.m. Friday as the Vipers take on the Long Island Nets in the third and deciding game of the Finals on the campus of Stony Brook University. The Vipers lost Game 1 117-107 on the road, and Frazier was shut down by what was described by coach Joseph Blair as a “passive aggressive defense.” However, in Game 2, the Florida product, who helped the Gators to a 36-3 campaign and a Final Four appearance in 2014, scored 19 points, most during the second half as the Vipers claimed a 127-116 win to force Friday’s game in the best-of-three championship series. What happened was a greater return to the court. Frazier dropped a career-high 43 points against Sioux Falls in January, and in February against South Bay he nailed 7 of 11 3-pointers. That has been a common scene this year for Frazier. He doesn’t just get hot. He gets hotter than Valley hot sauce. Recently, all of Frazier’s hard work and “never-quit” mentality was rewarded when the Houston Rockets signed Frazier. Speculation is that he will join the Rockets soon after tonight’s game. More accolades came to him recently, as well. Frazier was named to the FIBA World Cup team, coached by Jeff Van Gundy. This will be his second time representing Team USA, being part of the USA Under-19 World Cup team that went 9-0 in 2013 and won the gold medal in Prague, Czech Republic. Frazier led the team in scoring nine times this year during the regular season, a team best. He was the team leader in rebounds and assists six times for each category. Now, his focus is bringing the Vipers a third G League title and to continue writing his very inspirational story.